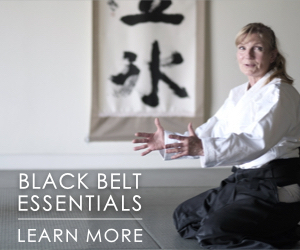 Ellis Amdur has been training in aikido and other martial arts for close to 50 years. 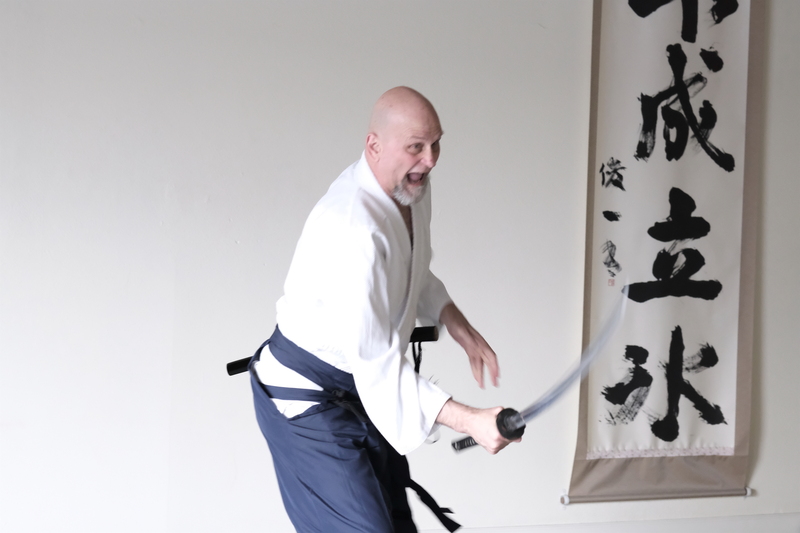 In addition to practicing traditional arts like koryu bujutsu, he has also worked on projects to apply principles derives from classical martial arts traditions to modern law enforcement. A prolific writer, his nonfiction works span topics including tactical de-escalation of dangerous interpersonal situations as well as histories and analyses of Japanese martial arts; his latest work in this field is a new edition of Hidden in Plain Sight, which is about esoteric power development techniques in Japanese martial combatives. His fictional works include historical fiction set in the Japanese Meiji period and a graphic novel co-written with speculative fiction authors Neal Stephenson and Mark Teppo, and historian Charles Mann. 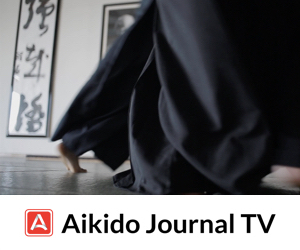 Ellis sat down with Aikido Journal to discuss the evolution of Japanese martial arts, their role in the present and future, and his insights into aikido’s past. This interview is the first in a three-part series, and has been edited for length and clarity. Josh Gold (Aikido Journal): You have a very unique area of influence that spans the traditional martial arts, law enforcement agencies, and social services, and books on de-escalation and such. I would love to get your perspective on the role of traditional martial arts in modern society and the future. However before we go there, it would be interesting and give us context if you could tell us about the historical role of the traditional martial arts? Ellis Amdur: It’s a pretty complex subject–in fact, I wrote a book about it. One of the first myths is that the really classical Japanese martial arts, the so-called ryuha koryu, were warfare arts. This is not correct. If people have this idea that, back in the day, the ryu were basically the training of young warriors to go to war just as we send our young fighters to basic training today to prepare for battle, that’s incorrect. There were so-called heiho, or heijutsu, the military tactical schools where soldiers would train in formation, and they would train officers how to train their conscripts. In the period of time when the ryuha were developed, it did occasionally happen that warriors fought one-on-one in front of their own troops, but unlike earlier periods, when that happened, the survivor was criticized by his own officers for not acting in a military fashion and for being a romantic idiot. Soldiers fought in huge formations, and so they would train to be most effective in these large formations. For example, a group of ashigaru, or low-ranking warriors, would stand in a river up to their waist, and each one of them would have a spear. They would line up, and they would just be doing suburi, where they would beat the water with the spear over and over again. It was power training. It was training in unison, and like a lot of military drills, the idea is to mechanize the human mind so that everybody functions by collective order as opposed to individual decision making. Now, in that process, you want your conscripts’ behavior to be mechanized, but an intelligent military force is also going to want its officers, at a certain level, to be creative and adaptable. Out of this requirement, ryu began to develop in an organic way; first, because of a fascination with individual combat and how one can be effective in it, and second, to create the kind of warrior who leads others. You could almost think of it as a socializing process for the warrior class. Most of the fighters in Japan were not members of the bushi, or samurai class. They were farmers. They were from other castes who were drafted. They were brought onto the battlefield. 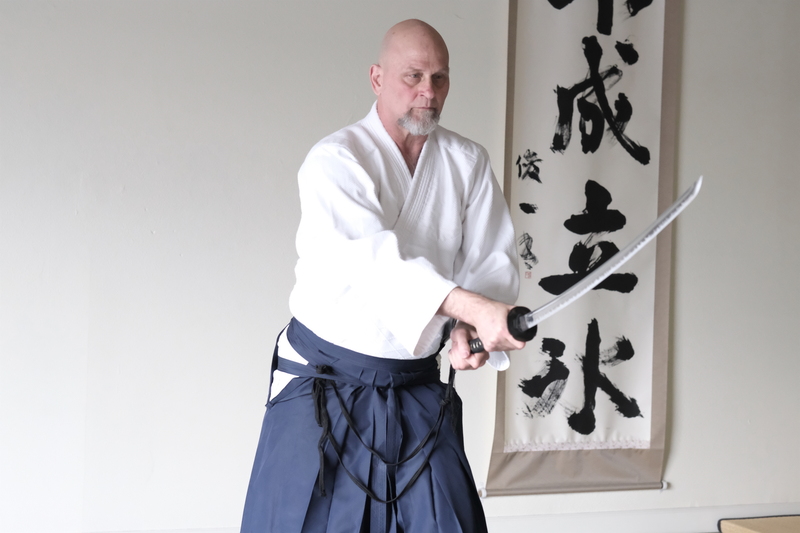 Can you talk about the role of the sword in Japanese martial arts? If most wars in the 1400’s and 1500’s were fought with spears and firearms, why was the sword still primary in the earliest ryu for the most part? It was a symbolic weapon, symbolic in the sense that it was a symbol of one’s role in society, of ruling others. It developed a particular kind of adaptability on an individual basis. It could be extrapolated, and of course you could use your sword, your spear, or whatever in combat when it came up, but it had a much different function, even in the earliest ryu. The best research on this has been done by historians Karl Friday and William Bodiford, and they’re practitioners of Kashima Shinryu, a koryu martial art. There’s a lot of wonderful history which is upending all this sort of conventional wisdom about the ryu. The Shimabara Rebellion in 1637-38 was actually the last battle the classical Japanese warrior fought, where the samurai did a terrible job. After that, you had hundreds of years of a totalitarian peace. Contrary to belief, firearms were not banned, but they were sequestered. Each castle had their own firearms. There were over 2,000 farmer revolts in this period. Usually, the farmers, with their rakes and their hoes and all of that, were beating the samurai, and then the samurai would retreat to the castle, get their firearms, and shoot and kill the farmers, and then they put away the firearms again. When people talk about gun control and propose a system where the state controls weapons and citizenry shouldn’t have certain weapons, well, one perspective is Japan did that very successfully. Basically, the ruling class had a total monopoly of force, and so the farmers, who were mostly revolting because they were being starved, all failed because they didn’t have firearms. 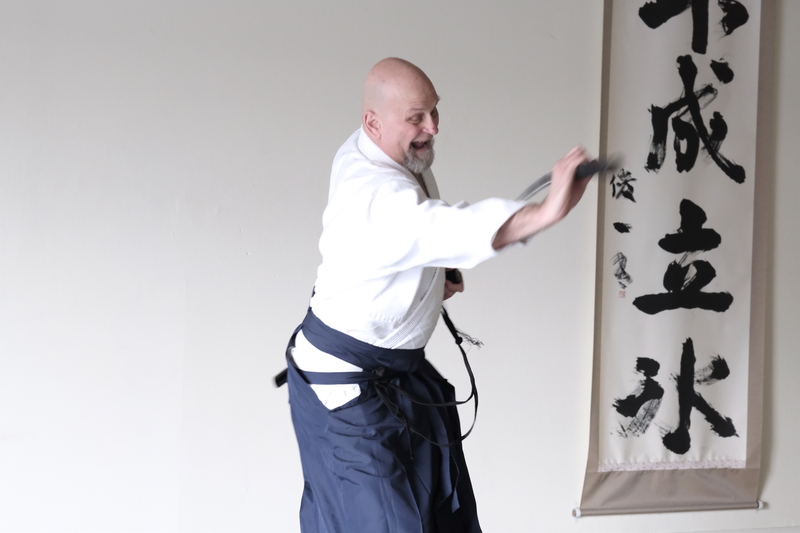 This photo sequence captures a movement from Komochi-ryu iaijutsu, a fusoku bujutsu associated with Toda-ha Buko-ryu. These are some fascinating insights. Now, what happened next is that the ryu flourished. Most of the koryu were not developed in a period of war. They were developed in a period of a authoritarian–perhaps totalitarian–peace. The state had almost totally a monopoly of power. There was no need for a study of the kind of tactical considerations that you find on a battlefield, so there was less interest in studying how you not only fight in armor, but how even to put on armor, or anything like that. The role of the samurai changed to become the ruling class. They were the policing agency, but they also became the bureaucrats. They basically did all the census-taking, taxation and all of that. As a result, an ideology was created, bunbu ryodo, which basically means “pen and sword together.” The idea is that the true warrior would also be a cultured person. It all sounds very beautiful, but it really meant is, “Let’s channel that energy which could potentially start a revolution and make you a loyal bureaucrat.” Sort of a Middle-Ages office drone who wielded a sword instead of wearing a necktie. Most of these guys never used it, period. How did the various ryu evolve during these times? Many of the ryu, even in that period, became more and more stylized, formalized, and lost their rough edges, but interestingly, what started to happen is, in the luxury of peace and in the luxury of a dojo, more and more techniques were created. One reason was because, if you’ve got time on your hands, why not become a little more creative? This resulted in some incredibly sophisticated training methods and the creation of some brilliant schools, but it was not all positive. Over-sophistication can lead to a loss of martial value, something we see in modern martial arts as well. If you look at Brazilian jiu jitsu, there’s the “donkey guard” position, where you literally turn your back on the opponent and stick your hands up behind and seem to say, “Go ahead and try to tackle me, and I’ll sort of flop to the ground.” In the context of BJJ, it’s creative but it’s certainly not fighting. Well, the same thing happened with the koryu at that time. People started to elaborate, but there was another reason for the elaboration. The ryu were opened up to non-bushi. In fact, in one survey I read, in what’s now Saitama Prefecture, in the 1700s I believe it was, out of 50 ryu, 45 were commoner-run, not bushi-run. Yes. The commoners were getting more and more money, because as Japan capitalized through the merchant class, you now had people who were getting powerful through mercantile exchange, through exchange of land. Some of the so-called peasants were getting rich, and so joining a ryu was like a modern nouveau riche guy joining a country club. They accumulated social capital. Of course, that also affects how the ryu is practiced and all that. The other thing is, for the professional warriors–the bushi class–how could they increase their stipend? 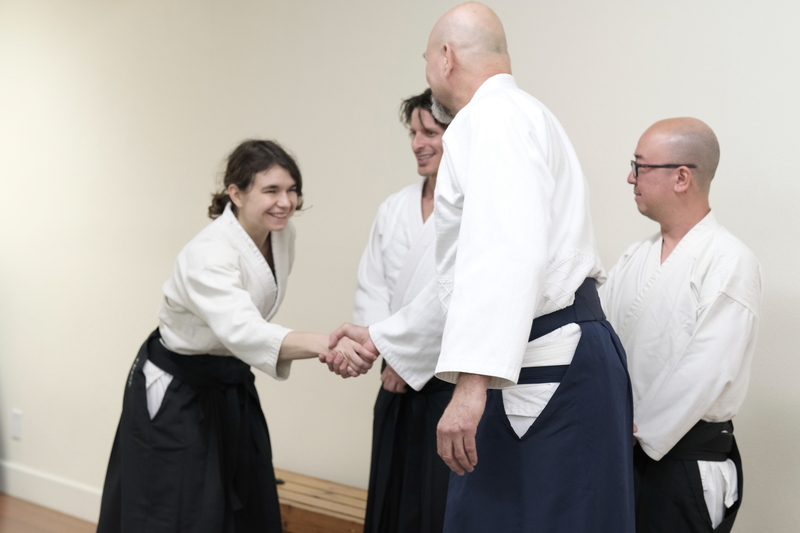 Well, if every time you come to your lord and say, “Hey, I just got a menkyo (martial arts teaching license) in something,” you might actually increase your stipend a little, your salary goes up. The ryu say, “Aha!” and start creating more and more techniques, frankly, to sell more and more certificates. It’s like continuing education, right? Every year, you put in your 200 hours or whatever, and then your salary goes up a little bit. Of course, you’re paying your teacher, in many cases, for that makimono (scroll), for that menkyo, and so there was a mutual support society between the ryu and the samurai. This can sound over-cynical. I mean, there’s a lot of wonderful material discussing this era, but that’s been written about a lot. I wanted to talk about, if you will, the social effects and the social role of these arts. Some of the arts were political entities. Perhaps preeminent among them is the swordsmanship school Yagyu Shinkage-ryu, where they did not only teach the shogun sword. They were actually counselors about how to run things, and a lot of their strategic theories were used as political theory on how to run the country. To some degree, some of the ryu had a slight political independence. 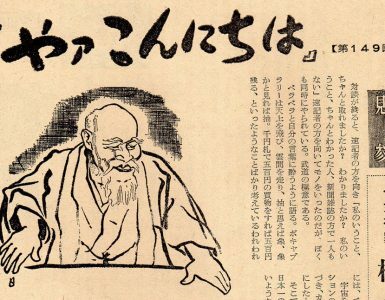 By the Meiji period, some became full-blown political entities, and a few even became revolutionary entities, Meiji being the beginning of the modern period. From the 1800’s, if not earlier, the ryu began to overlap, even homogenize, through the medium of competitive training. In the case of kenjutsu, we have fencing, with bamboo replica swords and body armor, and in the case of jujutsu, agreed upon freestyle grappling competition—first in dojo challenges, and increasingly, cooperative practice between different related dojo. This should not, however, have resulted in the end of kata training, which is still essential. 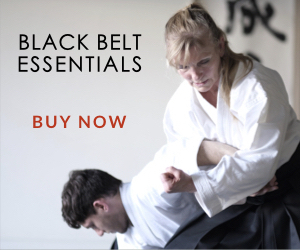 Pattern drills are absolutely essential for proper effectiveness in any combative system. Until you repeat an action enough that it becomes pseudo-instinctive, you will lose all your skill as soon as your body gets an adrenaline dump. On the other hand, you can really get sterile just doing pattern drills, and so what started to happen was the rise of competitive practice in the Middle Ages with what then became kendo and jujutsu. 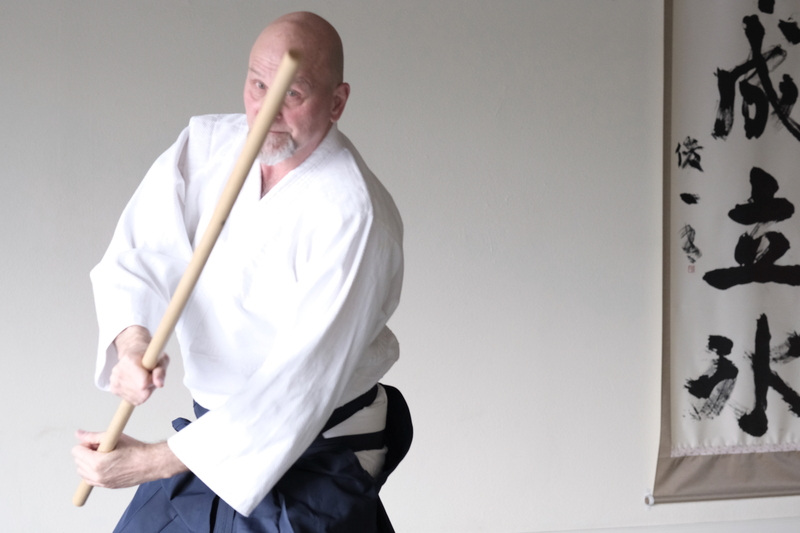 Judo and kendo started ‘way back then’ when people said, “I have to test this out.” This was really the start of finding a way to test one’s skills in a minimally or uncontrolled environment that didn’t necessarily end in injury or death. Okay. Brought you up to modern times. Ellis Amdur meeting Anastasia Shuba and reconnecting with Heinz Yu. Ellis and Heinz last saw each other at the 2003 Aiki Expo. Thank you so much for sharing these fascinating details and insights about the birth and rise of the traditional martial arts in Japan. I think this will give us great context for discussing the role of traditional martial arts in today’s society. Part two of this three-part interview with Ellis Amdur is here. 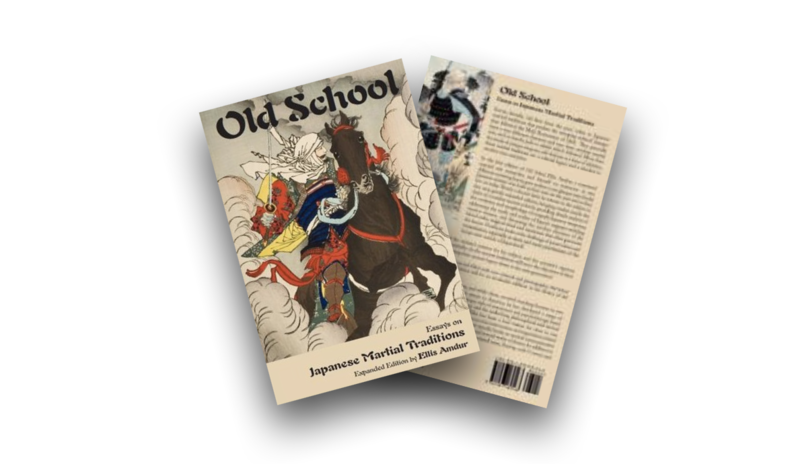 Aikido Journal TV subscribers can download a free chapter of Old School, Ellis Amdur’s book on the traditional Japanese martial arts. The selected chapter: Honma Nen-ryu, provides a well-researched and fascinating overview of a rural bugei. Very informative, putting our understanding of Japanese martial arts and its relationship to society on a firmer footing. Looking forward to further instalments. Absolutely fascinating! I’ve appreciated many videos and written contributions from Amdur-sensei for several years now and this is no exception. I’ve never thought of koryu schools as a system of socio-economic affirmation for the first middle-classes to grow in Japan a century ago. It makes me curious about those styles with “global pattern[s] where each technique led to another” (Katori Shinto Ryu?–pretty old and not very static). How many have survived fairly intact? 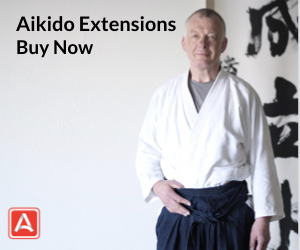 Given the recent “talk” of Aikido’s effectiveness, I’m hoping that he will talk some more about Kuroiwa shihan in his next couple of interviews. I’ve always been interested in what he and others have said about him. G-Lonnell – Thank you very much for your comment (and others as well!). I do not talk about Kuroiwa sensei in this particular interview, as our discussion in parts 2 & 3 were in somewhat different directions. I have a long chapter about Kuroiwa sensei, entitled “Forever Young” in Dueling with O-sensei, the 2nd revised edition. 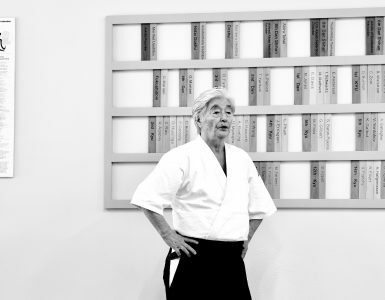 Sadly, few of Kuroiwa sensei’s students in Japan continued with his methodology after he died. Perhaps some time in the future, if I’m able to track some of them down in Japan, I could do a film study of his methodology, as carried out by his successors. The book and the film study both sound fascinating! I read in an old interview from Ikeda-sensei that he learned from Kuroiwa how important it is to include hips in technique (at least, I think that’s what he said). But that’s it! Other than your interviews and work, Kuroiwa-shihan’s own interviews, and his videos on the web, there doesn’t seem to be much out there on him. From a boxing fan who loves Aikido, that’s disappointing. Thanks for all you do, Sensei! Aiki jiujitsu comes from the battlefield. Bodies were disected to learn how the skeleton worked. Daito Ryu was developed from real life situations over centuries. Fire arms were not introduced into Japan until some coward sold his daughter to learn how to make a musket…… the techniques come from the battlefield. Great information thanks for sharing it, gives a wider perspective on Koryu and their social and political view and influence. 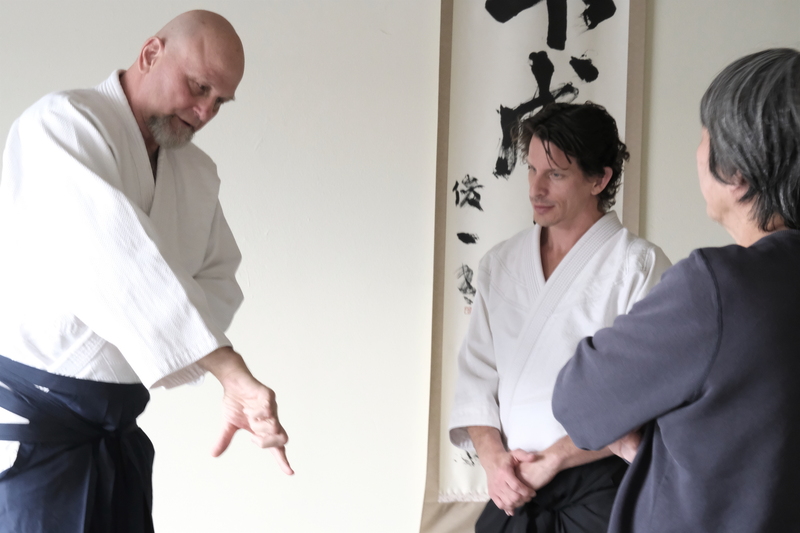 It wasn’t clear to me what this interview had to do with ‘aikido’ per se. From the start, Ellis demolishes the idea of “traditional martial art” as descriptors of most contemporary Japanese martial arts. We can only suppose he means to include “aikido” in this criticism, particularly Saito’s aikido which advertises itself as “traditional”. The next idea then Ellis recommends is a study of some sort of true combat art, an older art, which keeps psychological and physical realism intact, within its training curricula. But the benefits of these weren’t convincing, since as an aikidoka I don’t have much experience in them (apart from Shindo Muso-Ryu). Conflict de-escalation? Psychological integrity. Okay, now those things sound much like aikido. I wonder if Ellis thinks there’s anything in aikido that can be recovered at all that would be of benefit to modern people or whether aikido (in all its forms: Yoshinkan? Tomiki? his own mentor Kuroiwa?) are inferior to Koryu in this regard. Just one short comment too on Kuroiwa. I never had the pleasure of studying with him but have seen videos online. I can see that Kuroiwa analyzed his own responses to attacks and could cross-reference them with boxing and weapon wielding moves (which is a pretty kool MMA kind of way of thinking), but I wonder why he never analyzed the aikido attacks themselves like shomen-uchi, yoko-men uchi, kata-mochi, etc. and continued studying as if he needed to defend against them, when as the MMA people frequently like to point out “no one attacks like that anymore…” Any thoughts Ellis or Josh? Keni – nice to hear from you. I don’t really have a response for the first two paragraphs, because I was answering different questions than you are asking (I may address some of them in part two or three – you decide). 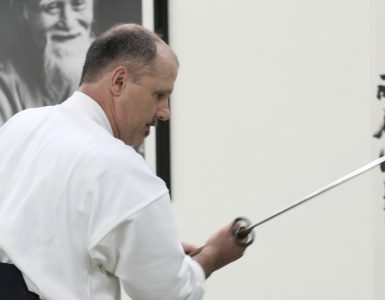 The questions in this section of the interview were all about traditional martial arts, so aikido, in any of its manifestations, was not really an explicit consideration in the interview, at least as far as I was concerned – with the exception of areas where what I said could equally be applied to aikido (for example, pattern drills vs freestyle. Re your final question, since I do not discuss Kuroiwa sensei in any of the sections, and a previous question was asked about him, his viewpoint was that aikido was a study of all possible configurations that two bodies in physical contact/conflict could find themselves, and how to maintain one’s balance and physical dominance within that contact. As far as hitting goes, he was a boxer, and that’s how he thought people should fight with their hands. He thought the traditional attacks were silly for fighting, but at the same time, that was not a relevant question, because a) he actually didn’t practice shomen, yokomen, or tsuki in his dojo at all b) to the degree that he even considered them, they were other opportunities to get in physical contact to continue aforementioned study. As far as he was concerned, his bread-and-butter technique (beyond boxing) for actually physical conflict was a modified single leg attack into a very unique koshinage, where he dropped the person on their head (if needs be). As I’ve told elsewhere, he defended another aikido shihan whose dojo was being broken by a 4th dan gakkusei sumo then yakuza leg-breaker named Momose – whom in a fight, he threw four times with this koshinage (And finally, the only other person who did that particular koshinage was Ueshiba Morihei. John Driscoll located pictures of O-sensei doing that technique in one of his prewar instructional books. Hi Ellis, nice to be in contact on this forum too. I had a look at the Kuroiwa video and got the points. Thanks. Absolutely fascinating! I”ve appreciated many videos and written contributions from Amdur-sensei for several years now and this is no exception. I”ve never thought of koryu schools as a system of socio-economic affirmation for the first middle-classes to grow in Japan a century ago. It makes me curious about those styles with “global patterns where each technique led to another (Katori Shinto Ryu?pretty old and not very static). How many have survived fairly intact? Given the recent “talk of Aikido”s effectiveness, I”m hoping that he will talk some more about Kuroiwa shihan in his next couple of interviews. I”ve always been interested in what he and others have said about him.